At last, someone in the auto industry gets it right. Instead of using awkward wheels or joysticks, like the Mercedes's MyCommand or the BMW iDrive, the new Audi MMI touch system just uses a touchpad for some direct finger-drawing action. 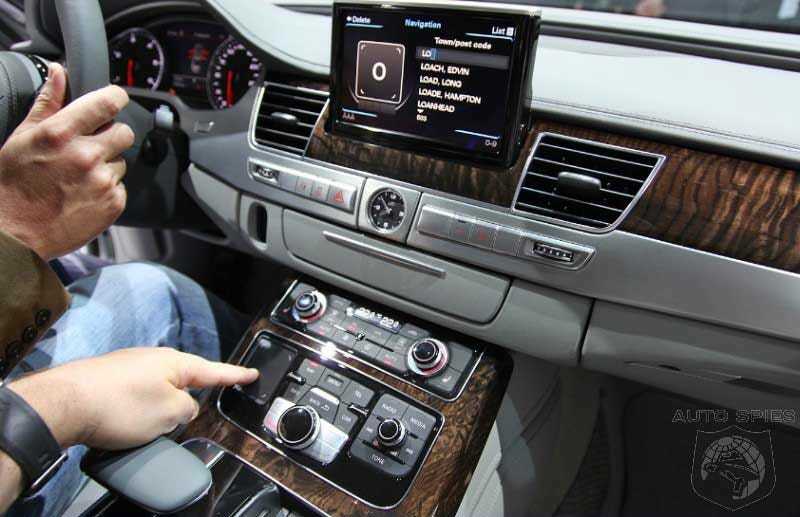 While other systems require the driver to focus away from the road—either by selecting letters from endless menus or on a touchscreen keyboard—the new Audi MMI touch allows for blind typing: The driver just writes naturally with a finger on the touchpad. The pad is strategically located next to the steering wheel and in front of the gear shift, so the writing can be done in a comfortable position, without having to focus on any screen.